I’ve got a real obsession with necklaces at the moment, especially large statement necklaces that turn people’s heads. You may have seen my post last week about Adorn Accessories and their fab jewellery (if you didn’t take a look!) and I finally bought one at the weekend which was delivered yesterday. Before I get into writing about the necklace, the packaging itself is soo pretty and delicate, you don’t actually want to unwrap it! It comes in sparkly tissue paper tied with silver string and an Adorn tag attached. There are lots of words I could use to describe the ‘Madame Rose’ necklace; beautiful, striking and most definitely eye-catching are just a few. I just couldn’t wait to wear it to work today! 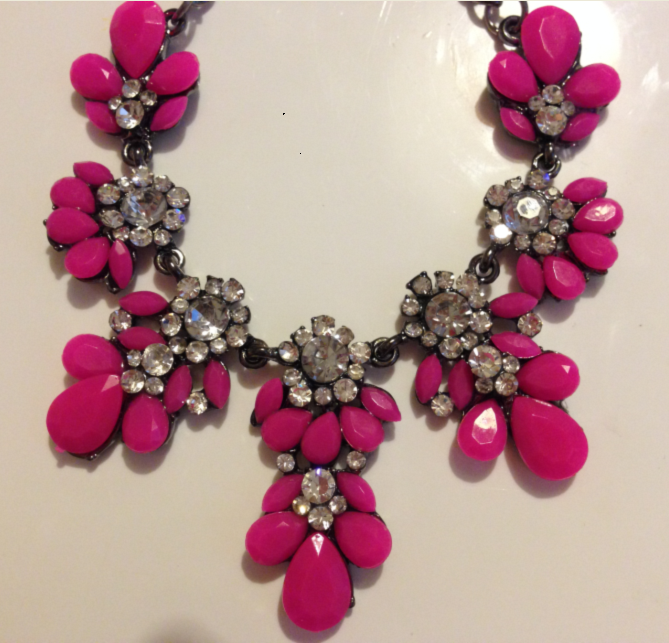 The hot pink stones bring a fun and playful side to the necklace and compliment the clear stones perfectly. It also means that wearing the necklace with jeans and a top doesn’t look to over the top, it can be dressed up and dressed down. I’m sure you’ll agree this necklace and Adorn’s jewellery in general is exciting and refreshing. Looking at the necklace, you’ll probably be pleasantly surprised to learn that it was only £14 – such a bargain. I’m hoping to get a few more pieces over the next couple of months – I’ve got my eye on one of the bracelets! 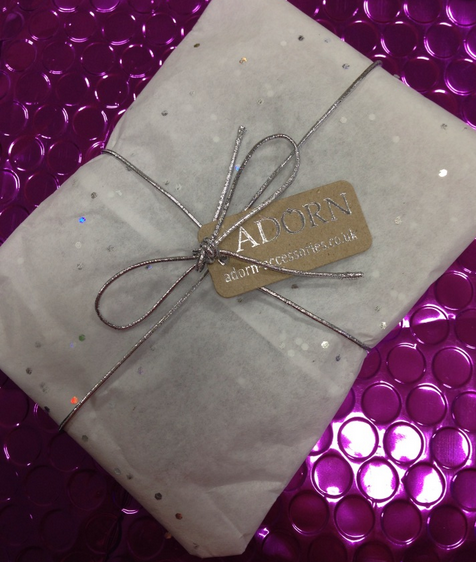 If you’re interested in purchasing any jewellery from Adorn, click here to visit their website.